I’m on an Erasmus, so not everything has to be hard work, and there’s always some time to spare. In this case, I made a flash trip with some other people to Gdańsk, in the north of Poland, taking advantage of a ferry that connects Karlskrona with Gdynia, a city real close to Gdańsk. 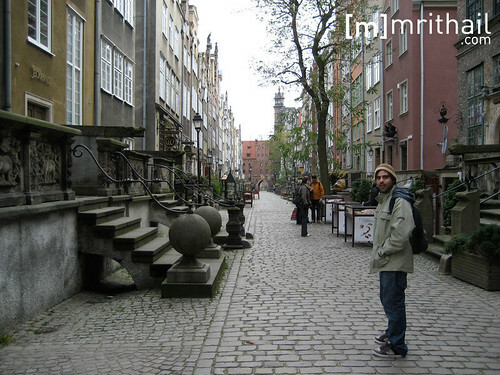 In fact, the conurbation formed by Sopot, Gdynia and Gdańsk is called Trójmiasto, or Tricity, in Polish. First of all, some facts about Gdańsk… it was founded on 997, and is the sixth largest city in Poland, with a population of about 460,000, which compared to Madrid (more than 3,000,000 population), my hometown, is not too much, but comparing it to Karlskrona, which has a population of 35,000 is a huge difference. It’s the most important port in Poland, and due to its strategic value between World War I and World War II, it remained as a free city. 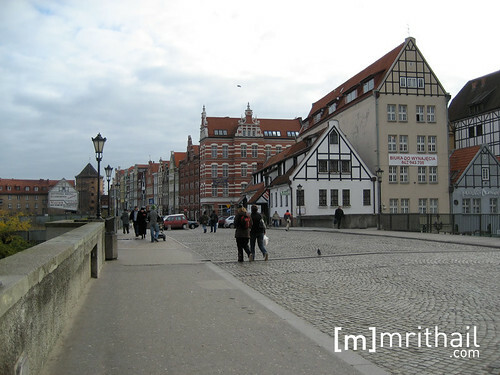 After being ruined during WWII, it fell under a communist government, as the rest of Poland, but it’s in Gdańsk where the anti-communist movement that brought it down was born. The part of Gdańsk I liked most, was the formed by the Bazylika Mariacka (St. Mary’s Church), Ulica Mariacka (St. Mary’s Street), Ulica Długa (Long Street) and Długi Targ (Long Market). Bazylika Mariacka, built in the 15th century, is the largest brick church in the world. From there you can take Ulica Mariacka to its end, follow up the river until you arrive to Ulica Długa and walk it from one end to the other, passing through Długi Targ, being this pedestrian square and streets rebuilt after WWII to preserve their center-European 17th Century style. Highly recommended and unavoidable. I also liked a lot a building from one of the universities present in Gdańsk that I saw from the tram. Unfortunately I don’t know which one was, neither from which university. The rest of the city is like a world apart, looking very communist with cold and and squared buildings, some of them falling apart or completely in ruins, giving a feeling of dust and dirt but fortunately it wasn’t a general feeling associated to the whole city. Contrasting with the communist feel of most of the city, there’s Galeria Bałtycka, an obscenely huge shopping mall with about 40,000 m² that opened on October 4th, 2007. Having been there for just one day, I don’t have much more to say… well, maybe that the best option for to see the city is the one I recommended, and that there’s no real need to spend more than one day too see it, at least from my point of view. Next time I hope I can visit Sopot, because I’ve heard a lot of good things from that city and it’s architecture. P.S. 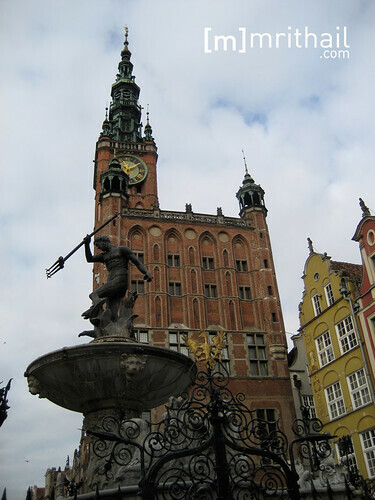 : The pics of this post are from the beautiful side of Gdańsk. mrithail.com: From Karlskrona to Gdynia and back, aboard Stena Baltica (Stena Line). Oh my, the truth is that I love Europe. After seeing that pics I envy you, So bad that country is under a crappy and creepy gobernment. What I love is to travel… I don’t mind where, hehe. And I also envy you for some places you’ve been in (like Japan, for example, hehe). But really, if sometime you go near Gdańsk, give a look to it’s Old Town. I was there years ago. Well, then, I was a child, so I don’t remember very much of the city. I only remember that I liked the port. Pffff I have to go there again. But I’ve never been in Sopot. Inform us about this city if you finally go there, please. If you can, rent a car in Poland and drive to Oswiecim (Auschwitz), Krakow and the salt mines very next of this city. Poland is a country very very nice and with a culture near to the Spanish (I think they are more “spanish” than germans, for example). God! I can’t write in English! Djevel, don’t worry… you know that I’ll talk about any place I travel to ^^. Ángel, if you practice it’s not so hard, hehe. About the possibility of renting a car… yeah it’s a great idea, I’ll probably do it when the good weather comes again. The problem was that we only had a couple of spare days, so we couldn’t go farther (and I missed some lectures).